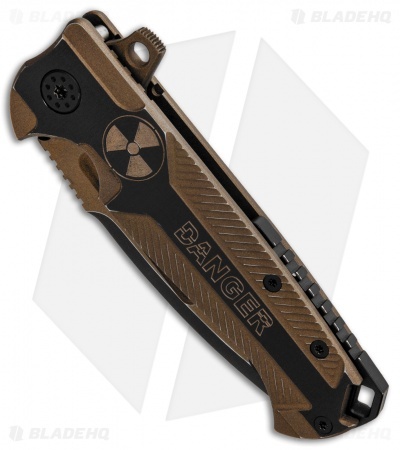 This custom AdV Ronin frame lock knife has a robust titanium handle with a black and bronze Cerakote finish and a "Danger" graphic. 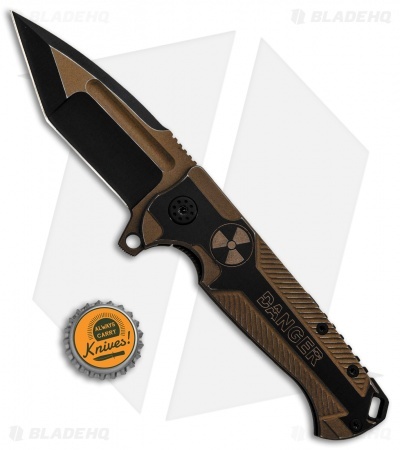 The compound ground tanto blade has a matching two-tone black and bronze finish. 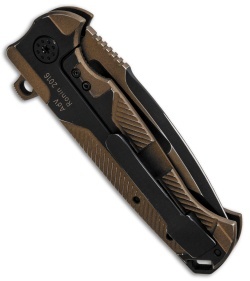 It features a black finished pocket clip, backspacer, and hardware.